Since being a little girl Faith Watkins had dreamed of owning her own hotel. When the ‘Old Mill’ in the Lake District went up for sale, Faith knew she had to buy it. 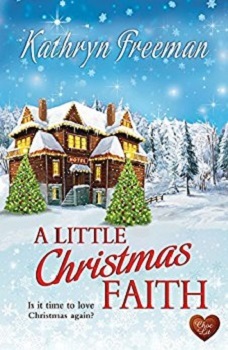 Now, ten days before Christmas, Faith was finally opening the doors and welcoming guests, well her parents and one paying guest, Adam Hunter, to be precise. Adam Hunter is trying to get away from ‘Christmas’ and had booked to stay at the ‘Old Mill’ over the festive period. Upon walking into the hotel he is greeted, eventually, by a moody teenager with an attitude (Chloe, Faith’s niece) and it would seem he has also entered Santa’s grotto, as Faith certainly hadn’t held back on the decorations. Can Faith help Adam learn to enjoy Christmas again? I’ll openly admit, I’m not a real lover of Christmas. Every year I try to help get myself into the Christmas Spirit, with the help of Christmas movies and of course festive books. 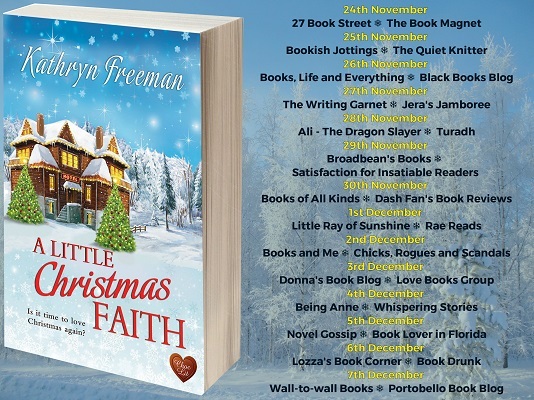 A Little Christmas Faith is certainly a book that can help squash that Bah Humbug feeling. The whole book is written to perfection. Ms. Freeman has captured the spirit of Christmas and spread it out within the pages. The characters are all very realistic as well as likeable, even Chloe. I could picture the hotel in all its glory, and the scent of Christmas wafted off each page. This is an easy read that flowed naturally. I knew from the start where the plot was heading, but I didn’t know how it was going to get there. This is a book filled with romance, laugh-out-loud moments, with the odd tear jerking scene mixed in too. 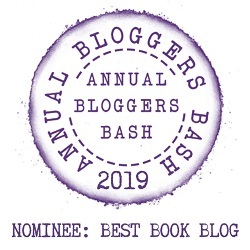 It was a heartwarming, cosy, grab that cup of hot chocolate, put on that roaring fire and snuggle up with, type of book. It most definitely is one to add to your festive reading list. Maybe I need to read this. I have been feeling quite Bah Humbug. This sounds good, perfect for Christmas. This one looks cute. I love your Christmas banner at the top! I saved this one on Amazon for payday 🙂 Great review!